If you’re looking for a book that can give you some useful hosting tips as well as some great recipes to help you host a dinner party that’s different from everyone else’s, you should check out Entertaining from an Ethnic Indian Kitchen. Part guide, part cook book, part coffee table book, Entertaining from an Ethnic Indian Kitchen author Komali Nunna provides her recommendations on everything from music to party favors. It also has 250 beautiful pictures of food, decorated rooms, and table settings. The book is broken up into different types of parties or events, such as barbeque parties, Indian festivals, and even Thanksgiving. Each section has sample menus, tables setting and decor photos, and the recipes for that menu. The recipes are easy to follow, have clear instructions, and tell you how many people they serve. Since this is for dinner parties, most recipes serve 6-8, but there are some for fewer and some for many, many more people. The book concludes with a glossary, a “Master Recipes” section which is something like Indian Cooking basics, and wine pairing tips. This book evolved from my passion for cooking, decorating and entertaining. I had the opportunity to learn the art of entertaining and the privilege to host many parties over the past 25 years. You will see my love for cooking, entertaining and decorating all throughout the book. For me, cooking is an art, decorating is a craft and entertaining is a passion. Whether it is creating a culinary feast or decorating a dazzling table, I do it with the same passion and zeal. Entertaining is not just the act of serving food and wine, since food and wine are only the part of the whole process. Entertaining is also about creating an ambiance that people will remember. Th e food, china, linens, candles, fl owers, music, and accessories are all necessary components of that ambiance. I can’t photo copy the book, but I did grab a picture of one of the interior pages so you can see how pretty this book is. You can find more photos on Komali Nunna’s website. 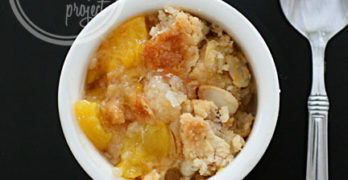 We’ll also be featuring some of her recipes in upcoming posts. 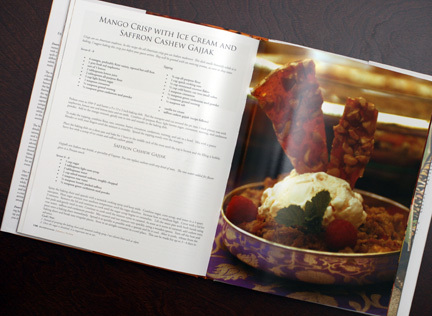 Now’s your chance to get your very own copy of Entertaining from an Ethnic Indian Kitchen by Komali Nunna by entering the WCatDD Entertaining from an Ethnic Indian Kitchen Giveaway! 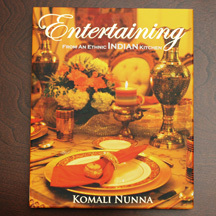 One lucky winner will receive a copy of Entertaining from an Ethnic Indian Kitchen by Komali Nunna, a $50 value! THIS ENTRY IS REQUIRED FOR ALL OTHER ENTRIES TO BE VALID: Tell me what type of party you would throw with this book. Giveaway ends at 11:59 PM EST, November 5, 2009. I would hold an Gluten-free party since so much of Indian food is Gluten-free. I would throw a “lets celebrate not be hungry in the next two hours” party. I would do a buffet style. I would like to have a traditional Indian appetizer party! My GF's would LOVE to try all the new flavors. I would throw a big gathering for some of my friends that I have not seen in awhile~It would be a blast! I would throw a dinner party for my girlfriends and I. We moms need a GIRLS NIGHT! I would throw a birthday party for my Indian brother-in-law!